I love that in every garment we design comes with a new personality and story. 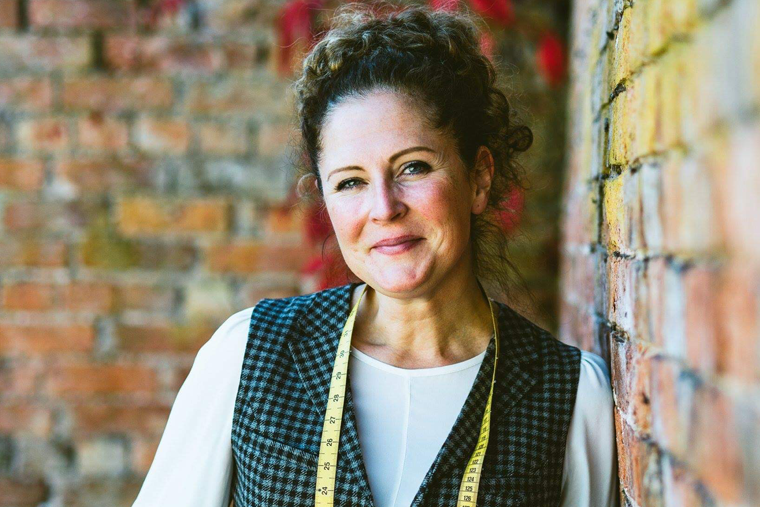 My name is Joanna Nelson and I have been involved in tailoring for 20 years now and it’s a passion. It’s not a one stop shop were I’m producing the same ‘look’ for everyone. It is a very individual and bespoke service. People often ask what’s in fashion or on trend. I can happily tell them but quite often it’s a shape or design that wouldn’t compliment someone’s frame, so I’ll always say if that’s the case. When you book an appointment to come to visit the showroom there is no commitment. I could talk tailoring happily all day. You are always welcome to come for an initial appointment first just to see the showroom, meet me and see examples of work. There are lots of lovely mills we deal with so the range of cloths to chose from is huge. Some people come along knowing exactly what they want, others don’t. Often the vast choice can be daunting, but that’s what I’m here for to help you through that process. We deal with the beautiful mills based in the UK and also have fabulous cloths from Italy and around the world. This range means that whatever the brief we can fill it. It gives us choice and also varying price points. We will start by getting an understanding of what you are looking for. What the occasion is and when. We will look at what you currently have and what you are used to wearing. We can discuss budget and timescales. Then we can get designing! 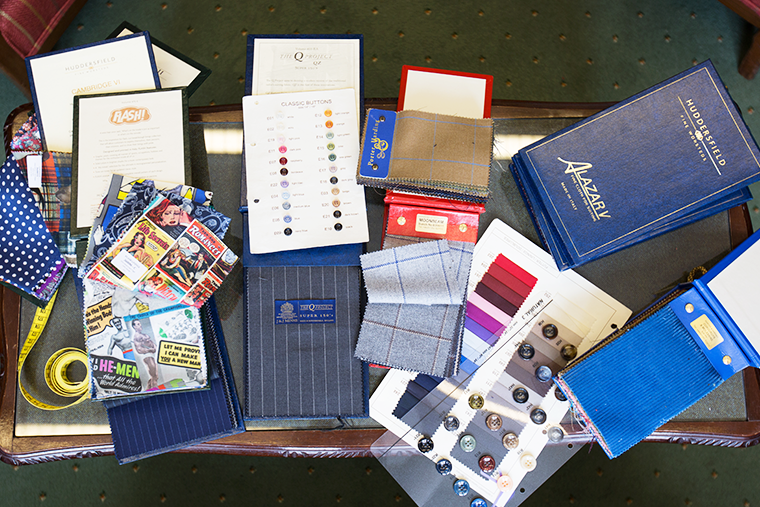 We will look at cloth options and involve the lining, button, thread, melton colours. We will also consider what monogram you’d like. The embroidery inside the jacket is a nice finishing touch. We will look at cut and shape, pockets, collar, cuffs, waistbands and hem lines. I will then stand you in front of the mirror for full measuring. After this you will try on a few of the showroom samples. These are examples of garments that I have made. I have worked on all the patterns for these so it helps me to understand what we need to do for your pattern. For example, if you put on a jacket of mine and it wrinkles at the back on the sleeve then I know we need to alter the pitch of the sleeve for you. There are many other insights like this that I can share with you as we go through the measuring process. By getting a garment on you it gives you a visual and helps to understand a little more about the garment that will be made for you. After that your garment is designed! Once this is received, cloth and trim will be ordered and work will commence on your garment. You will be asked back in 4-6 weeks to try on your completed garment/s. If no tweaks or adjustments are required then you can take it away then. If any adjustments are required this can be done within 7 days. Once we are happy your pattern will be gold stamped and there for you if you were to require any more in the future. Repeat clients can be seen far quicker in subsequent appointments as all the measuring stage is done. Plus they know the process so come in ready to make all the different selections and have more idea of the choices. The best bit is that people arrive as clients and leave as friends.